British producer Gary Burrows returns to Respekt Recordings for another round of thumping techno. His “Burning EP” is a four-tracker, which contains three original tracks and a remix by Dave Sinner. Compared to his earlier offerings to the label, this release is a more minimalistic and also a more experimental effort, which definitely helps to keep things interesting. With this addition to his diverse and solid back catalogue (which also includes releases on Funk’n Deep, Eclipse and Orange Recordings), Burrows continues to expand his reach and is building a great reputation for himself in the process. Opening track “Burning” can best be described as a bare techno thumper that features thriving drums and a rhythmic vocal loop that serves as the only festive element in this very minimalistic production. During the break at the 3 minute mark, a gripping bassline is introduced, which is a welcome break from the continuous pounding of the arid synth / percussion combo. It is repeated once more at the 4:30 mark before the track comes to a close. Dave Sinner’s interpretation of the title track has made it a lighter affair and gives it some more room to breathe. Another notable difference is that he’s ramped up the rhythmic portion of the track, somewhat resembling the percussive style of Spekre. Staying true to the spirit of the original, Sinner has kept the main synth hook intact, but has given the vocal lines a less prominent place. “Reaper One” kicks things up a notch with a hasty 133 beats per minute. As the title suggests, it unveils a somewhat haunting vibe that’s brought forward through an ominous pad and a dreary synth sequence that interplay for the duration of the track. The weary, monotonous vibe of the track can be a little fatiguing at times, making this a track that’s probably not for everyone. Final track “Can’t Hold Back” brings some acid elements into the mix. It is supported by relentless percussion that’s somewhat reminiscent of the style of Gary Beck and has been layered with a vocal line that repeats the title phrase. Piercing synth stabs give the track a bit more depth and make it more dynamic as well, something that was definitely missing in the previous track. 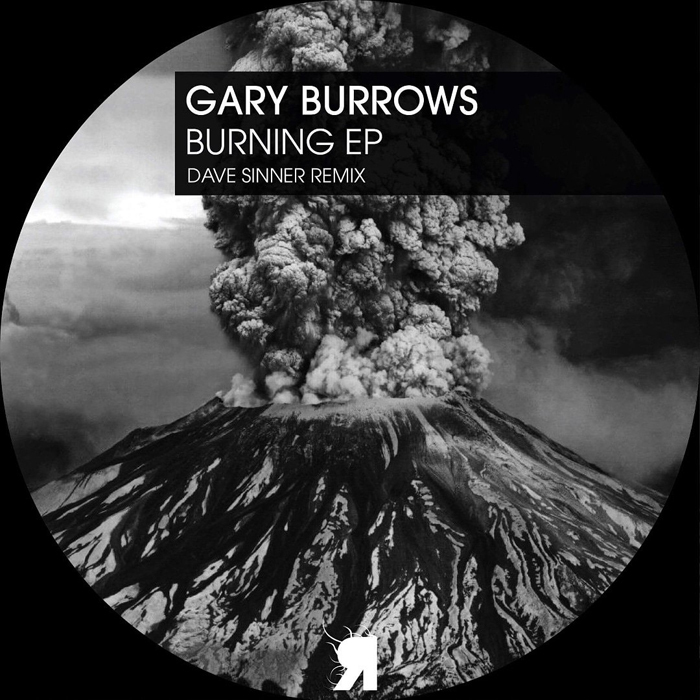 Gary Burrows’ “Burning EP” is out now on Respekt Recordings.